Amazing, unexpected, can’t recommend it highly enough. Going with Pete opens doors and experiences that others may never have. Peter Athans is a real gem. 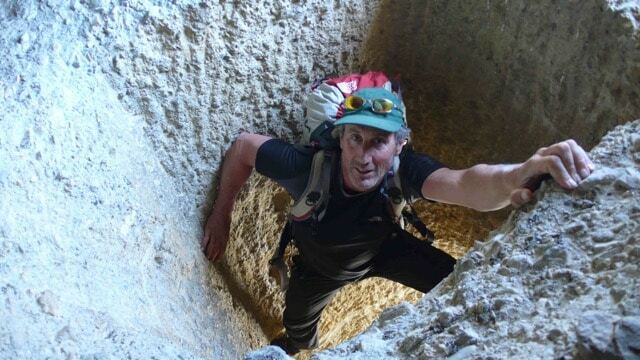 He is a world class guide, he is kind, open, even-keeled, and was always available to answer questions. He was very willing to share his deep reservoir of information, experience and passion about Mustang, Nepal and climbing. He has great expertise on the caves and the region, and it was a real pleasure and honor getting to spend time with him. The trip was excellent in every respect. All of the logistics were flawless. I cannot think of very much to offer for constructive criticism. 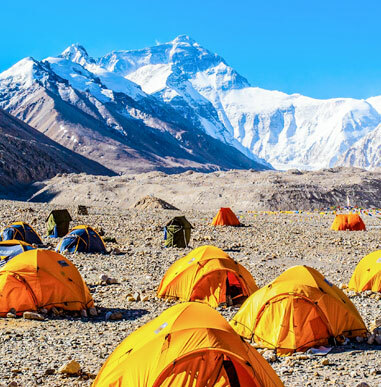 One of the most unique trips offered by Alpine Ascents, a journey to Mustang (Moose – Tong), Nepal, is a rarity both in location and in expertise brought by guide, Peter Athans. 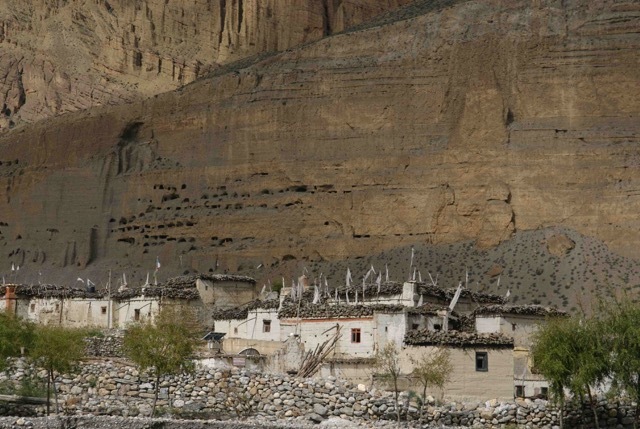 This expedition includes trekking and camping to the remote and stunning region of Mustang, not only to explore this ancient culture, but to visit the recently discovered caves (see the lauded PBS documentary/National Geographic film: Cave People of the Himalaya) and attend the Tiji Monastic ceremony. We hope to offer this trip more than once but see this as a superb chance to look at the culture and landscape of Mustang. Mustang, known to locals as the Kingdom of Lo, has a long, rich, and complex history that makes it one of the most interesting and culturally significant places in Nepal. Once called the “Forbidden Kingdom,” and only recently opened to tourism in 1992, the early history of Lo is opaque: veiled in legend, myth, and mystery; however, there are records of events in Lo found in ancient Tibetan documents as early as the eighth century. 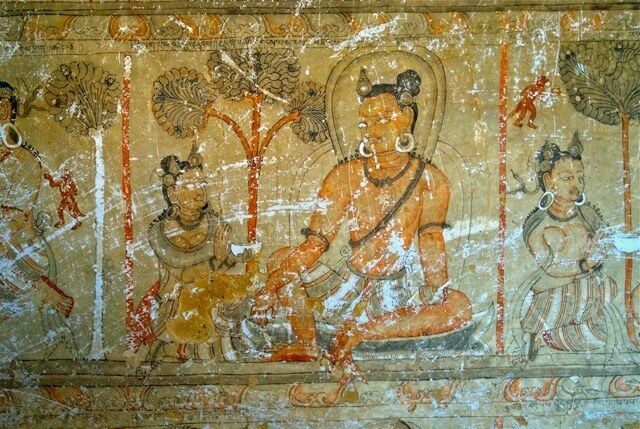 While much of the artwork in Mustang is thematically Buddhist, it also clearly represents the pre-Buddhist practices of “Bon” or Bonpo, which existed long before and contemporaneously with Buddhist practices. We will also spend two days at the monastic festival at Tiji. Exotic by any standard, this famed annual festival of mask dancing, Tanka unfurling, meditation, and mini theater performance is dedicated to “world dharma” and world peace. Exciting and colorful, these stories of demons released and returned can be transcendent, if not breathtaking, as we view the festivities inside this sacred monastery. Among the first Buddhist monasteries established in the Himalayas, Namgyal Gompa was built in Mustang’s town of Lo Gekar. 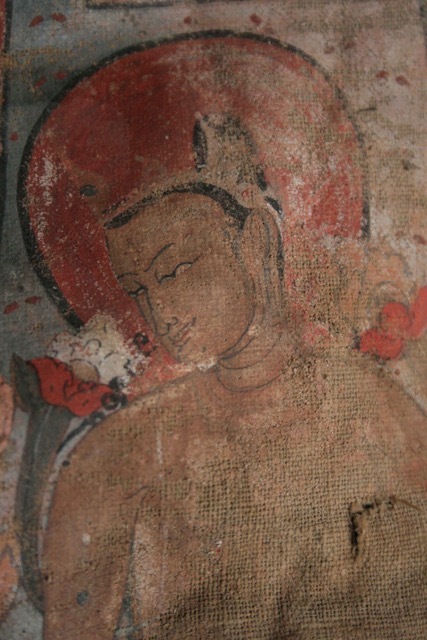 This took place early in the eighth century by Guru Rimpoche, also known as Padma Sambhava, the “Lotus-Born Saint,” considered by many scholars as the “second Buddha.” It is quite likely that the influential Tibetan poet Milarepa, who lived from 1040 to 1123, visited Lo. 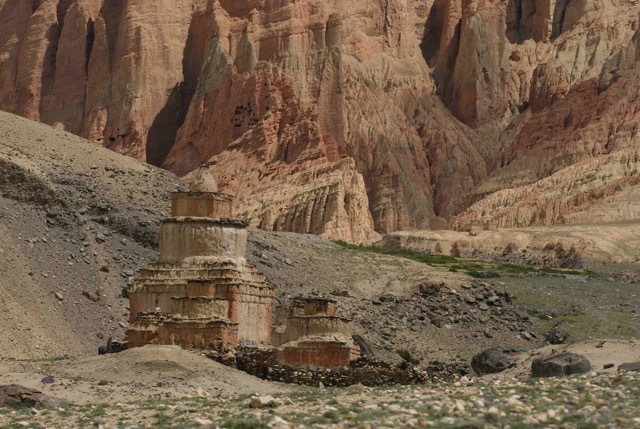 Upper Mustang was once part of Ngari, a name for far Western Tibet. Many Tibetan Buddhists consider the first monasteries of Lo Manthang, Thubchen, and Champa, established in the 14th century, to be the architectural and artistic jewels of Nepal. Inside their ancient walls are soaring mural paintings of Buddhist and Pre-Buddhist “Bonpo” themes and figures, created by scores of artists over years of committed design and painting. 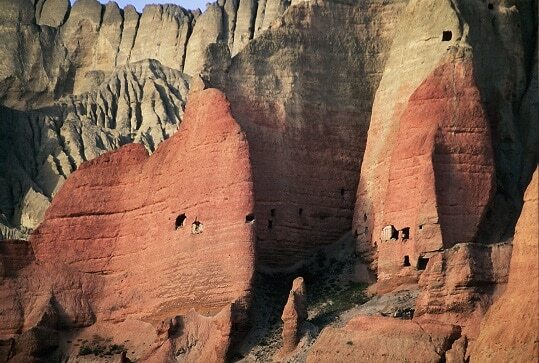 But monastery buildings were not the only locus of artistic expression: human carved cave complexes, which can be seen frequently in this high desert, arid landscape, also have masterpieces hidden on their concealed walls. 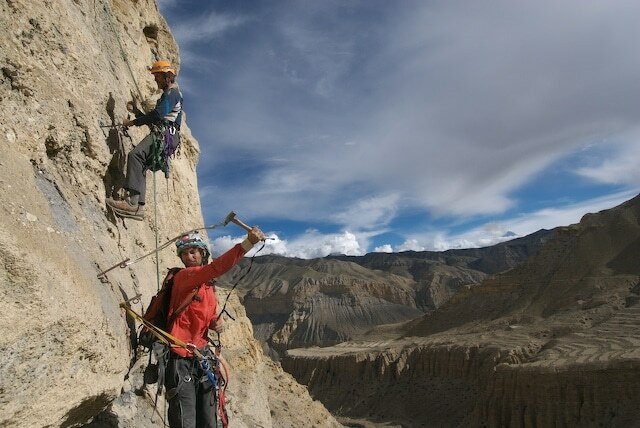 Our trek to Mustang will be led by one of our senior mountaineering guides, Peter Athans, who is a seven-time summiteer of Mt. Everest as well as the expedition leader for the Caves of Mustang Project (see the PBS/National Geographic film: Cave People of the Himalaya). His work has been instrumental in uncovering secrets of Nepal’s ancient history and the migration of early people into the Himalayan states. 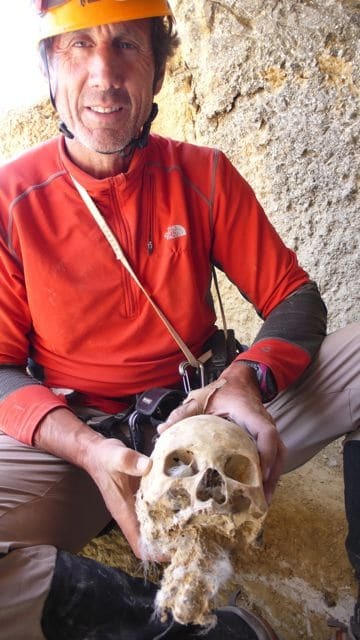 Peter’s 10-year project has been to investigate what drove groups of people (upwards of 3,000 years ago) to explore, trade and, ultimately, live in one of the most austere environments on earth. 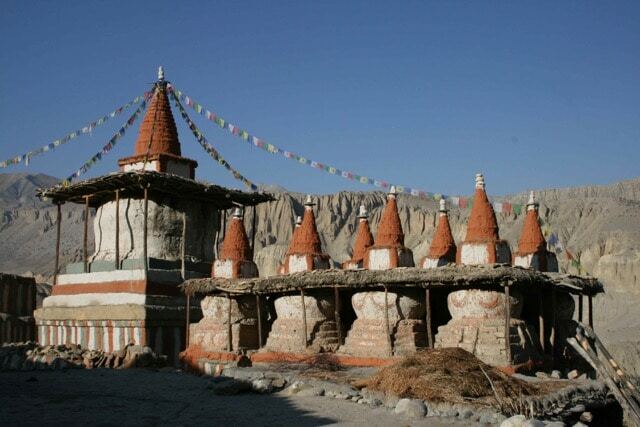 Our group will visit some of Mustang’s most historically important, artistic, scenic, and visually memorable sites. Pete is one of Alpine Ascents’s original four guides. We are blessed to have Pete leading us on a trek to Mustang to spend time in this once heavily cloistered region while learning about the caves and people. This may well be a one-time opportunity and we hope for a like-minded group to enter the Mustang with Pete. Sherpas traditionally worked as traders, farmers, and religious folk. Along with these ancestral roles, leading climbs and treks has recently become a mainstay of the Sherpa economy. 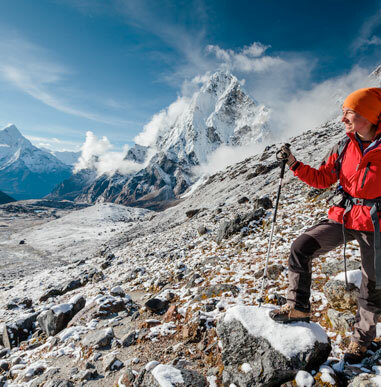 “Sherpa” refers both to a tribal group and a job capacity as porter, climber, or trek leader. The term “Sherpa” means Easterner, referring to their origins in Eastern Tibet. 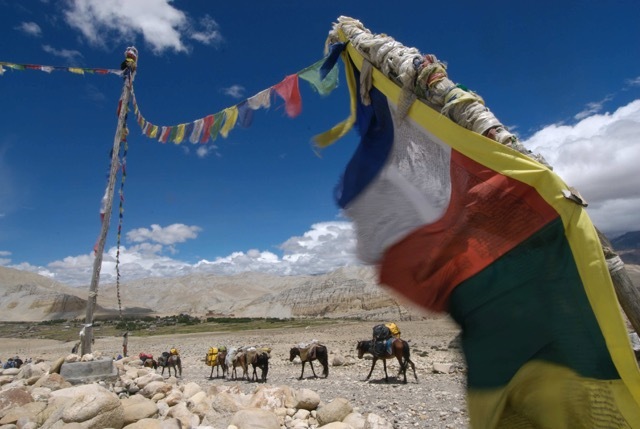 The migrations of this Tibetan culture began sometime in the early 1400’s. Today the Sherpa population in the Khumbu is about 5,000 with a total of roughly 35,000 living in Nepal. 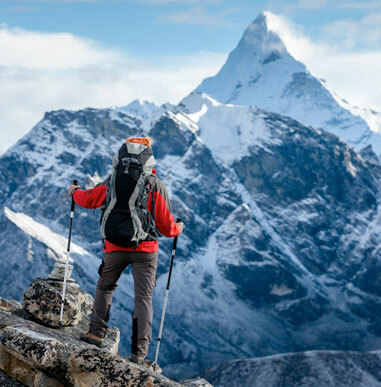 The first notable and successful Everest-climbing Sherpa was Tenzing Norgay. In 1952, Norgay accompanied Raymond Lambert to within 800 vertical feet of the yet unclimbed Mt. Everest. A year later, Norgay was asked to join the British team led by Col. John Hunt, which successfully summited Everest, following the same route as Norgay and Lambert. Norgay and Sir Edmund Hillary were the first climbers to reach the summit. By the mid-1980’s, Sherpas had summited Everest many more times than Westerners. Ang Rita Sherpa, the most well-known climbing Sherpa, had amassed seven summits of Everest by 1995. In 1993, Pasang Lhamu Sherpa became the first Sherpa woman to summit Everest. The name Khumbu comes from its guardian deity, Khumbila Tetsan Gelbu. 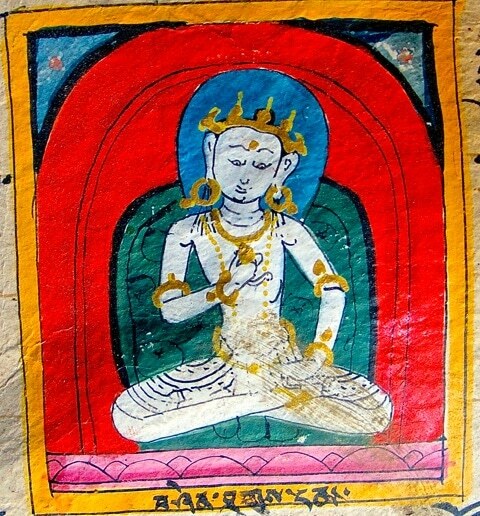 The literal translation is “Khumbu country god.” The teachings of Sherpa Buddhism talk of a spiritual understanding between all beings. 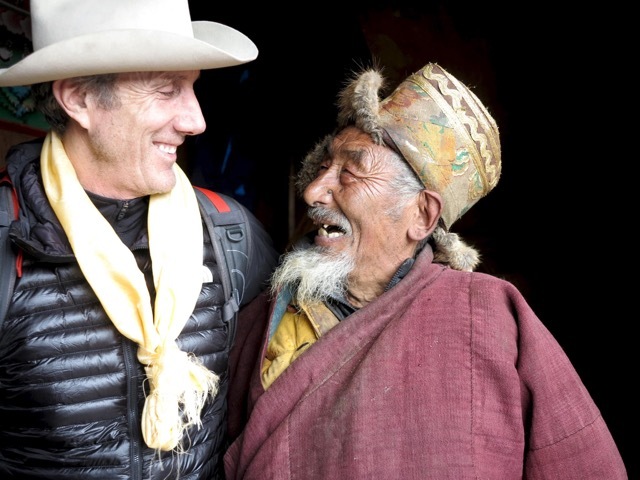 This is probably why the level of hospitality and acceptance of westerners comes naturally to the Sherpa. It should, however, be mentioned that Tibetans are also considered fierce warriors.